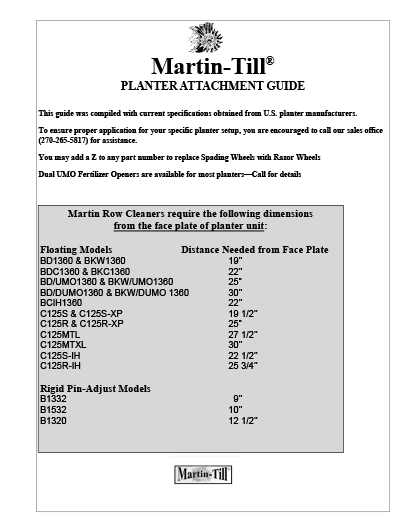 Our Attachment Guide provides you with all the information you’ll need to order the right Martin-Till® attachments for your specific planter make and model. To view the Guide online, just click on the photo at right. Or click on the link under the image to download a PDF of the Attachment Guide for future reference.